Hallmark just released a great printable coupon! 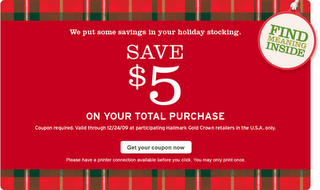 Just click here to print a $5 off your total purchase coupon at Hallmark Gold Crown – no minimum amount listed. This coupon is valid all the way through December 24th. 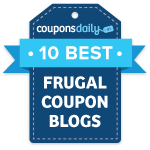 This coupon will easily make for FREE cards and more!